The Boaz Crest was designed in 2014 to represent many aspects of the Boaz Community. Cerulean Blue is used in the background of the crest. Blue was chosen because it represents trust, security, stability, calm, and harmony. The Acacia Branch surrounding the topmost star represents eternal and affectionate remembrance. This symbol was chosen as a reminder of the strong community that will last beyond the years residents will live in Boaz. The Five Stars represent the five values of Boaz: Community, Mentorship, Compassion, Integrity, and Zeal. They also stand for the five founding members of Boaz: David Son, Katie Bell, J.P. Preisser, Olivia Buerkle, and Jackson Hull. Hiram Abiff Boaz was the first Vice President of Southern Methodist University and the second President. He was born in Murray, Kentucky on December 18th, 1866. Hiram Boaz graduated from Southwestern University with a B.S. in 1893 and a M.A. in 1894, and was a member of the Kappa Alpha Order. Bishop Boaz became a Methodist Pastor before serving as the president of Polytechnic College (now TWU). As a Methodist Pastor he served in various conferences in Texas, Arkansas, Oklahoma, New Mexico, China, Japan, Siberia, and Manchuria. Caroline Browne Boaz was married to Hiram Abiff Boaz and considered one of the "first ladies" of SMU after her husband became the second president. Dr. William S. Tate is quoted as saying that Caroline and her husband had lives that were an example and an inspiration to the students of Southern Methodist University. 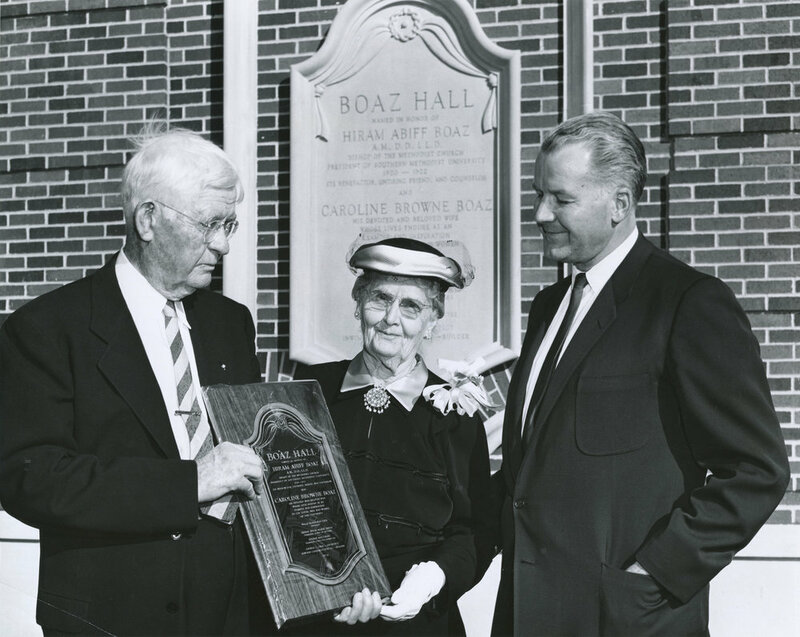 Hiram Boaz was quoted at the dedication for Boaz Hall as giving credit to Caroline Boaz for his inspiration and success. Caroline and Hiram were married for 68 years. In 1911, Bishop Boaz left Polytechnic College to become the first Vice President of SMU and in 1920 he became SMU’s second President and helped SMU recover from a $1M debt by raising $2M. Hiram Boaz served as SMU's president until 1922 and later retired in 1938. 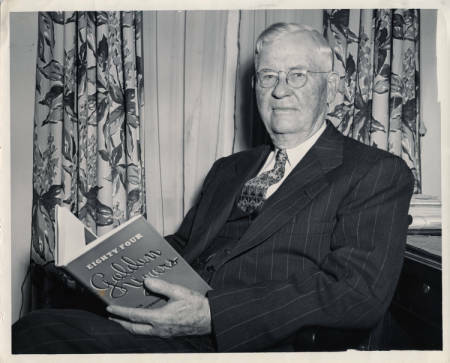 Although, SMU's historical literature reveals that Bishop Boaz was not very good at being retired and remained actively involved in the SMU community until he passed away in 1962. Bishop Boaz was extremely involved in the development of Southern Methodist University, served as a trustee, founded the SMU Sustentation Fund, and was highly regarded by many prestigious SMU individuals. Boaz Hall was originally constructed in 1956 for $948,000. The residential community opened at the same time as the Coliseum and was designed by Architect George Dahl to match the Early Georgian style of campus-wide architecture. At the time it was built, Boaz Hall was praised for having air conditioning in every room and individual thermostats, elevator service, “spacious closets”, and its own parking lot. The original community was termed a “fishbowl” because there were not any blinds on the windows right after the building opened in 1956. The community was originally built to house 300 men (2 per the 150 rooms) and was named after SMU’s second president, Bishop Hiram Abiff Boaz and his wife, Caroline Browne Boaz. 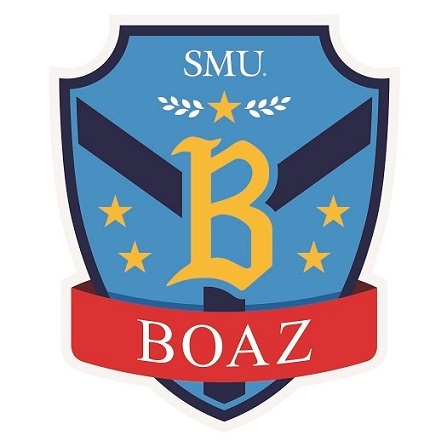 Since 1956, the building has housed many great SMU students and even hosted some Boaz legacy students. The building was renovated in 2008 to provide students with updated living areas and additional renovations in 2013 created space for the Faculty-in-Residence apartment, as well as, several RLSH offices. In the fall of 2014 Boaz transitioned into the Boaz Commons that it is today. Today, Boaz Commons can hold up to 184 residents and is known across campus for its great community and central location.